Quite what was going through Anthony Knockaert's head when he took out Adam Smith on Saturday only the French winger will know. But, having already given away the ball to allow Bournemouth to double their lead on Saturday, the wild tackle capped a disastrous few minutes for the Brighton player who scored the winning goal against Crystal Palace at Selhurst Park a few weeks ago. Knockaert will now miss their important league showdown with Cardiff today as well as the meetings with Wolves and Tottenham as Chris Hughton's side battle for survival in a season where they have reached the FA Cup semi-final for only the second time in their history. 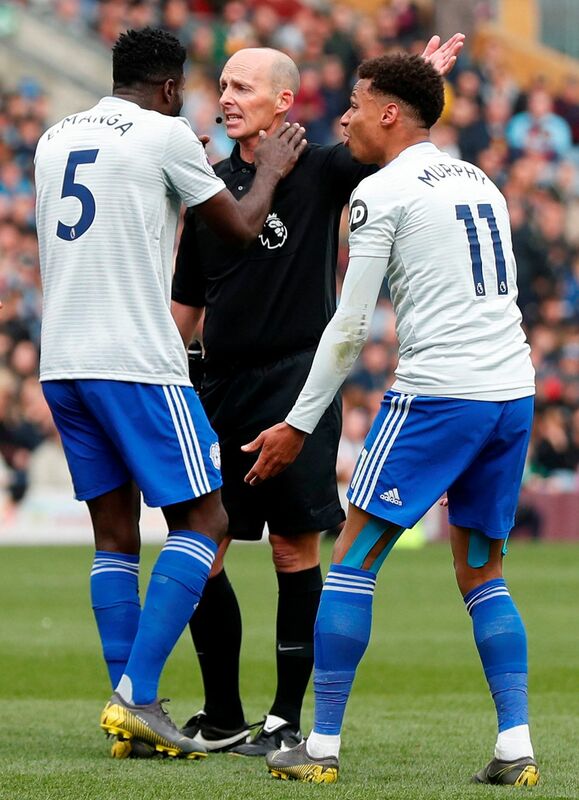 While Burnley ran out 2-0 winners over Cardiff on a day Dwight McNeil impressed, creating both goals for fellow forward Chris Wood, there was a controversial moment after referee Mike Dean reversed his decision to award a penalty to the Welsh team. Neil Warnock, once he had got over his initial fury, said his sanguine demeanour was down to a desire to dodge further Football Association fines. But perhaps he realised the need not to waste energy crying over spilt milk when his 18th-placed Cardiff side have a pivotal game at Brighton today. Lose and Cardiff are all but relegated, but win and they are only two points behind Chris Hughton's faltering team. There would be complications, admittedly, but Manchester United and Everton are two of the teams currently above Newcastle who would be better off with Rafael Benitez as their manager. Another side are Leicester, whose new manager Brendan Rodgers was schooled by the Spaniard, whose team defended deeply and smartly to win 1-0 at the King Power Stadium on Friday night. If owner Mike Ashley is not careful, Newcastle could lose forward Ayoze Perez as well as Benitez this summer, and some other club will pay the £16.5 million (S$29.2 million) needed to sign striker Salomon Rondon permanently from West Brom.